Enhanced the Check Media dialog, fixed bugs relating to url media tests, and improved the output of the check process. Added auto generated UIDs to items, if existing items in the key are missing UIDs a new one is assigned on next key open. Fixed media import bug relating to URL paths being imported as File references. Report and skip broken references on media import, force import of broken media is optional. Update captions/copyright/comments from media list if they differ to existing media item. Several minor bug fixes and other interface tweaks. Force state gallery to display, even if all states in the feature do not have images attached. The state gallery will display text icon over image if the state has a text attachment, text icon can be used to open the attachment. Changing subsets no longer requires the key to be restarted. Message shown at top of tree panels to indicate if subsets are in use. Enhancements to matching and user interface update speed. Several bug fixes relating to matching and pruning. Fixed bug restarting key when opened in list view mode. A new update to Fact Sheet Fusion (v2.0.5.125) is now available (free to existing v2 licence holders). Fixed binomial entity name link function during export. Added regular expression options to the Global search and replace function. Fixed a 'null found' error that could be encountered in the Global search and replace function under specific circumstances. Added token replacement support for the [EntityName], [Authors], [Year] and [Identifier] media captions. Fixed missing HTML edit bar in the glossary editor for some users. Added a new option in the export dialog (Index Tab) to export the index page without needing to perform a full export. Enhanced the HTML editor to allow double click selection/highlight of words. Added advanced options in the media manger to auto attach and detach media found in the media store. Fixed a bug in the drag n drop reordering for very long lists of images within the media manager. Fixed a bug in the media category renaming and folder synchronisation function. Added a busy cursor change to indicate the import is working during the import process. Fixed a bug in the Glossary editor where a definition would not be saved if in code view. Fixed an FSF v2 import bug when electing to import from an entity subset. Fixed an entity rename bug that would allow a duplicate entity label. Fixed a token replacement bug for [EntityName] in the Media List export. Updated the help to reflect new and changed functionality. Click here for more information on this update. The Thysanoptera fauna of Brazil is one of the most diverse in the world. More than 530 species were described based on material collected in Brazilian territory and approximately 700 species are recorded from this country. In this identification system, the user can identify the 6 Thysanoptera families that occur in Brazil. This key is an interactive tool to help identify 78 species of troglobitic (cave dwelling or underground) invertebrates species that occur in Brazil. This key is specifically developed for the identification of species belonging to the genus Pennisetum available on the European market. The reason for developing this key is the large number of Pennisetum species and varieties available and the difficulty of distinguishing them from each other. Since August 2017 one Pennisetum species, Pennisetum setaceum, is on the List of Invasive Alien Species of Union concern (the Union list), which forms the core of Regulation (EU) 1143/2014. Pennisetum setaceum being on the Union list entails that sales, distribution and cultivation of this species is prohibited. Furthermore, this entails that the species shall not be brought into the territory of the European Union, and the species shall not be released into the environment (Regulation (EU) 1143/2014). The key includes descriptions and photos of 10 Pennisetum species and 27 Pennisetum varieties. Seventeen features can be selected in random order to find the right species. The features are illustrated with line drawings to facilitate identification. ** Key recently updated *** A key to the propagules or fruits of 102 biosecurity-relevant species of the daisy or sunflower family Asteraceae. It was produced by CSIRO scientist Alexander Schmidt-Lebuhn at the Australian National Herbarium (CANB) in collaboration with and through funding from the Department of Agriculture and Water Resources. A decision support app for tomato and similar crops, developed by the NSW Department of Primary Industry and Asian collaborators for use in Australia and SE Asia. Funded by the Australian Centre for International Agricultural Research, the app provides a "one-stop-shop" for advisors and growers. Android version available now: the iOS version available soon on iTunes. 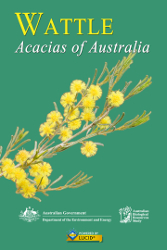 The much anticipated Wattle: Acacia of Australia mobile app is coming soon. Currently undergoing testing the app will contain the latest Acacia taxonomy and thousands of new photographs and maps. It will also sport the latest update to the Lucid mobile platform, allowing for dynamic downloading of media or if you are planning a field trip pre-loading of media. It also supports subsets, which further help to make identification as simple and straight forward as possible for non-experts. This is the latest version of a weed identification tool that was first released as a CD product over 12 yeas ago. It is the third update of the app and involves additional weed species and a number of new components in addition to the Lucid Mobile key, including a best practice guide to using the identification tool, details of Prohibited and Restricted weeds in Queensland, information about plants suitable for replacing weeds, and a reporting facility to be added in the next upgrade later in the year. The Systematic Entomology Laboratory (SEL), as part of the USDA’s in-house Agricultural Research Service, develops and transfers solutions to agricultural problems of high national priority and provides information access and dissemination. 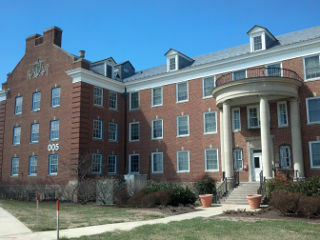 Located in Beltsville, Maryland and Washington, DC, SEL is involved in a range of entomological projects, including the development of a number of Lucid keys for insect and mite pests. A number of these projects have involved USDA’s Identification Technology Program (see previous Spotlight article) as well as other collaborators. Brief details of these keys are provided below. Since scale insects are among the most commonly encountered insects at ports of entry, a key to Scale Families (http://idtools.org/id/scales/key.php?families) was built to help identify all known families of scale insects. Despite some disagreement about the status of a few of these families, this list is consistent with the hypotheses of most coccidologists. A key to Mealybug and Mealybug-like Families (http://idtools.org/id/scales/key.php?key=mealybugs) was built specifically to help identify species in three closely related scale insect families previously included in the Pseudococcidae, or mealybugs (Pseudococcidae, Putoidae, and Rhizoecidae). 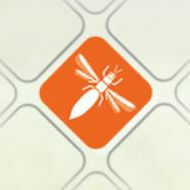 The Soft Scales key (http://idtools.org/id/scales/key.php?key=soft) was built to help identify pest species (Coccidae). Many soft scales are serious pests, particularly as invasive species. In the United States there are 42 introduced species of soft scales and 41 of them are pests. A fourth key deals with Other Scales (http://idtools.org/id/scales/key.php?key=other), pest scales in various families not treated elsewhere but which have been or thought likely to be intercepted at U.S. ports-of-entry. AphID (http://aphid.aphidnet.org/index.php) allows users to key the 66 most polyphagous and cosmopolitan aphid species intercepted at U.S. ports of entry. In addition to a Lucid key, AphID offers users detailed descriptions of morphological features critical to identifying aphids along with annotated photographs to help illustrate each feature. This site benefits workers in aphid taxonomy and systematics worldwide, biological control workers, extension agents, and federal and state regulatory agencies. Flat Mites of the World (http://idtools.org/id/mites/flatmites/), the result of collaborative research with the University of Maryland and USDA-APHIS, provides detailed, interactive web based identification tools and a catalog for use internationally by identifiers, regulatory officials and other plant protection professionals. The citrus-tea-coffee flat mite complex of species is the most complicated and diverse group in the flat mite family as well as being the most commonly intercepted group of mites at U.S. ports-of-entry. Since three of the most economically important species in the family are consistently confused and misidentified, the tool helps to identify 36 genera of flat mites present throughout the world, including specific diagnostics for 13 species in the red palm mite group, 14 species in the common red flat mite complex, and mite species associated with orchid plants. Since its launch in March 2012 there have been over 123,800 visits to the website with inquiries from 180 countries. The purpose of this interactive web based identification tool, developed in collaboration with the University of Michigan and USDA-APHIS, is to help identify 117 mite species that may be found on various types of temperate and tropical bees and in their nests. The Lucid key and a searchable image gallery of over 850 mite images helps users to distinguish harmless mites from those that might harm bee colonies. This identification tool is useful to bee keepers, scientists, extension agents, and quarantine officers worldwide: since its launch in November 2016, there have been 8115 visits to the site from 133 countries. Pest Fruit Flies of the World (http://delta-intkey.com/ffl/www/_wintro.htm) is an identification tool for economically important fruit flies of the world; adult key (190 spp) and larval key (80 spp). Diabrotica ID (http://idtools.org/id/beetles/diabrotica/) is an identification tool for all 125 Diabrotica species known to occur in North and Central America. Diabrotica species feed on flowers, leaves and roots of a wide variety of herbaceous plants, including agricultural crops, vegetables, fruits and ornamentals, and are vectors of viral and other lethal plant diseases. A single species, D. virgifera, is estimated to cause one billion dollars damage annually. The tool provides species descriptions, detailed illustrations and keys to help identify pest and potentially invasive species from innocuous, native US species.